The finest craftsmanship, made with you in mind and built to last. 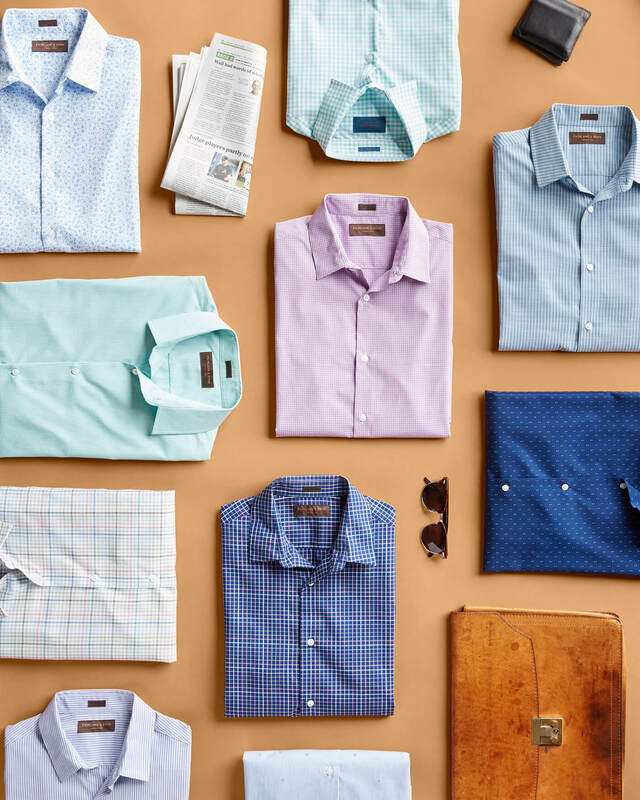 No, we’re not talking about a fine glass of whiskey—we’re talking about the Stitch Fix Men brands that we concept, design, fit test and bring to life, all in the comforts of our own office. 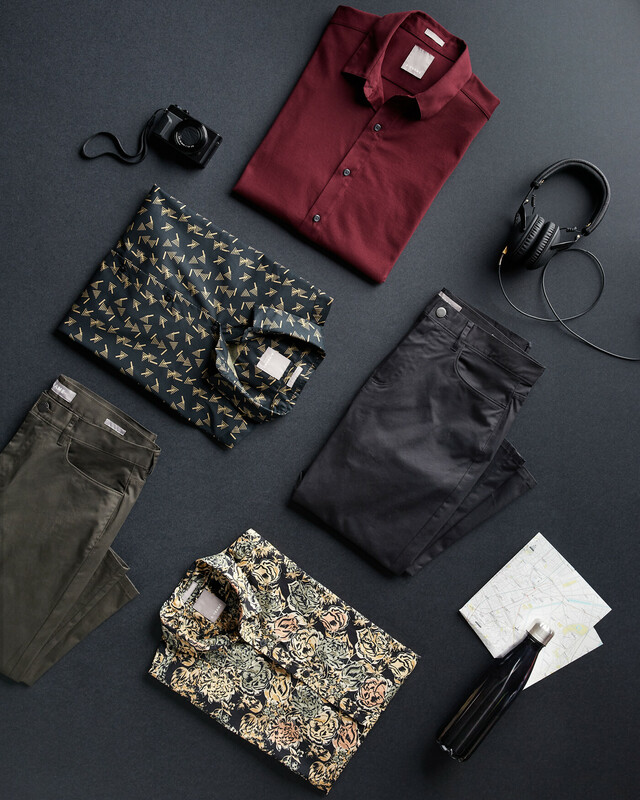 They’re designed for you, and really every guy, in mind. 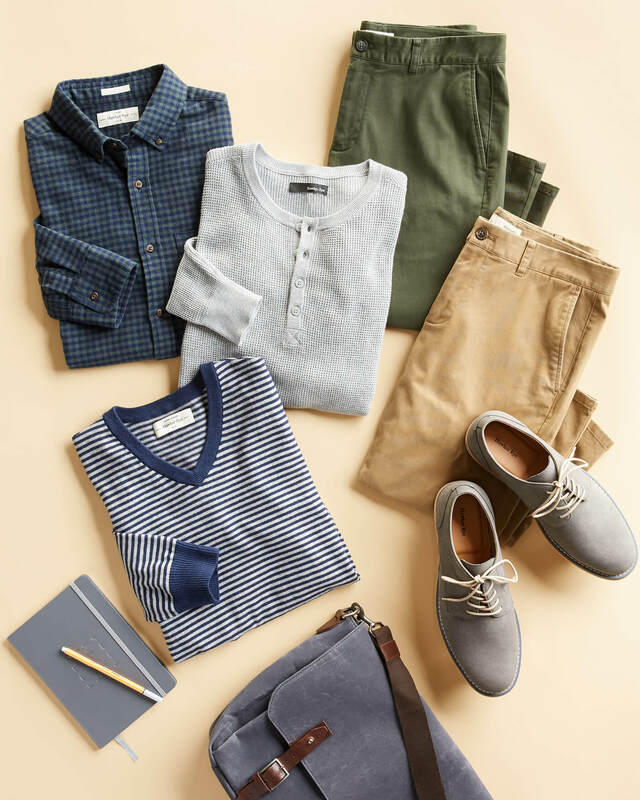 Ready to learn more about the Stitch Fix Men exclusive brands? Traditional, but never stuffy. Refined, but not restrictive. Fairlane is timeless and easy-to-wear for work or for those occasions that call for a little more dressiness. You’ll like Fairlane if you’re into plaids and stripes, simple hues, tailored fits and an overall polished look. The Fairlane man probably has a 9-to-5 that requires a business casual dress code, with the occasional dinner or drink to get a little relationship-building out of the way. 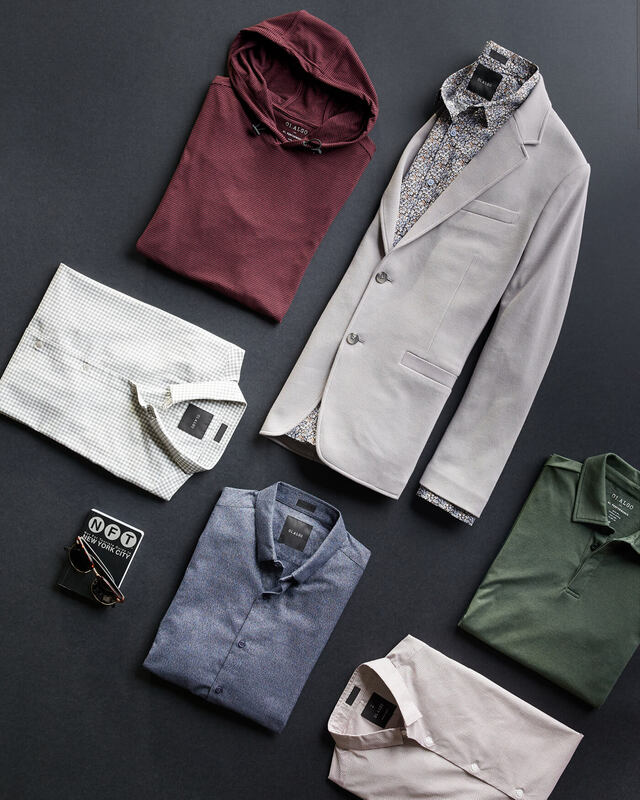 You’re busy, so you’re looking for clothes that make getting dressed easy. Slightly more light-hearted, Fairlane & Sons plays with print and color while still maintaining classic, modern fits. Those awesome blue dress pants you have? Fairlane & Sons has a funky printed shirt to wear them with. The young professional. He’s got the work-hard, play-hard balance perfected. Clean, minimalist and undeniably contemporary. 01.Algo gets inspiration from unexpected details and likes to push the boundaries. It mostly stays within the neutral family with blacks, whites, greys and taupes to keep things simple but never boring. He might be the most “he belongs in New York guy” you know. Fashion. Forward. 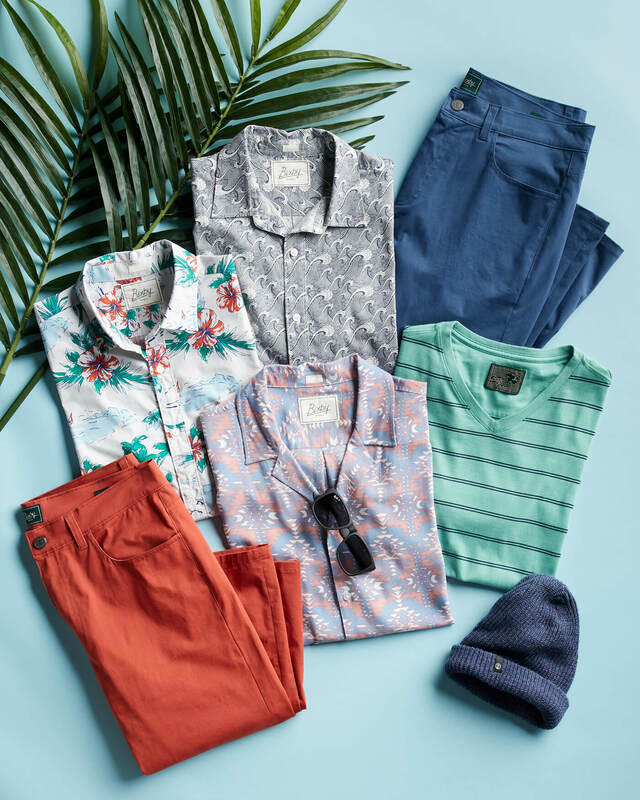 The guys who likes to play with prints, and pays attention to the edgiest trends would be the A-Frame candidate. A-Frame draws inspiration from the most contemporary trends and puts them to work through neutral pallets, confident pattern and bold fits. The A-Frame guy definitely has the most followers on Instagram compared to all of your friends and colleagues. This brand is for our All-American guys. 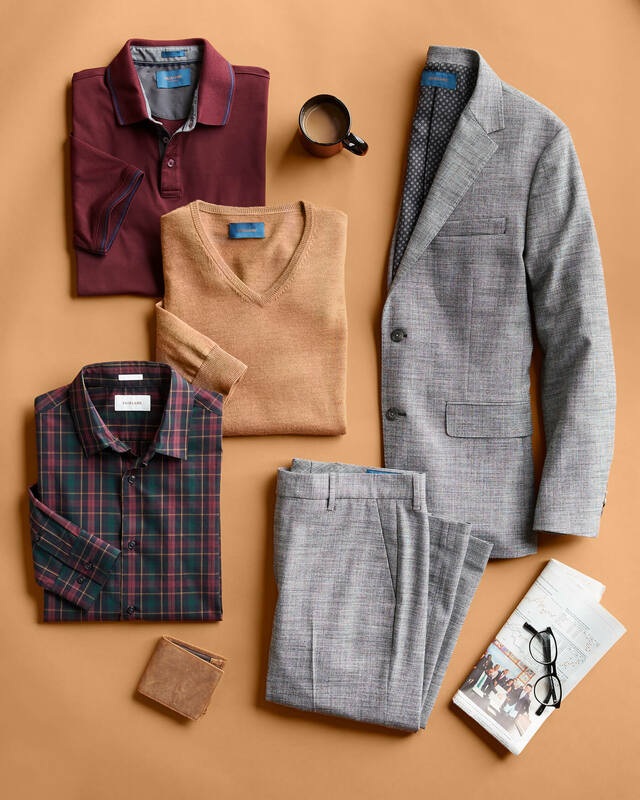 Whether it’s khaki Chinos and button down, or tailored jeans and quarter-zip pullover, the Hawker Rye guy is an easy classic look. The slightly relaxed fit throughout Hawker Rye gives off that easy-going every-day vibe. Who’s the Hawker Rye Guy? The Hawker Rye man definitely might know how to sail, owns more than a handful of tailored blazers and just might have their Eagle Scout badge. Think ‘All-American, with a little more fun infused. Rye is the young American prepster who likes to look at tradition and break the rules with some grit. 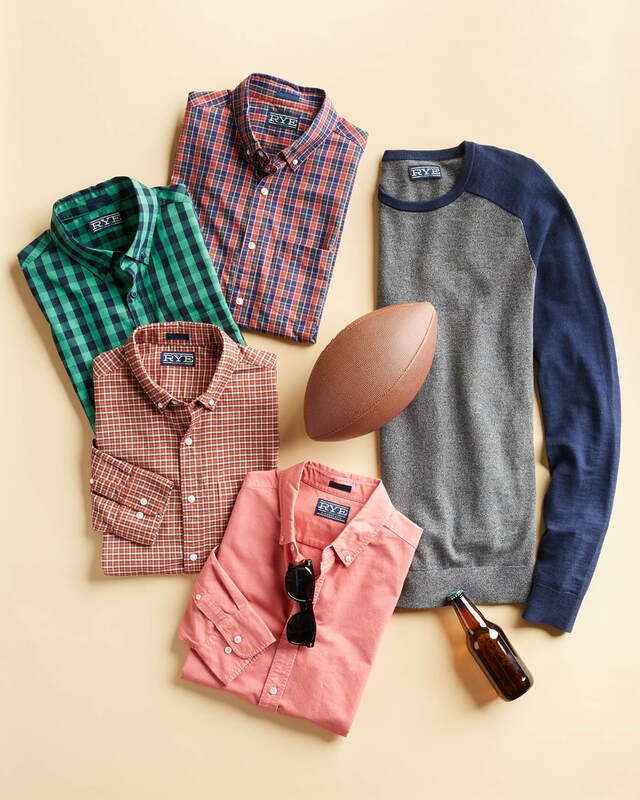 With an easy fit and casual flair, Rye complements the can-do attitude of our guy. Slightly preppy, slightly sporty, totally classic and very lived-in. He’s the innovative and infectiously optimistic professional. You know, the guy that’s always smiling even at that 9:00 a.m. meeting. Let’s face it: the wardrobe we wear on vacation is what we aspire to wear all the time (who wouldn’t want to be on holiday 24/7?). 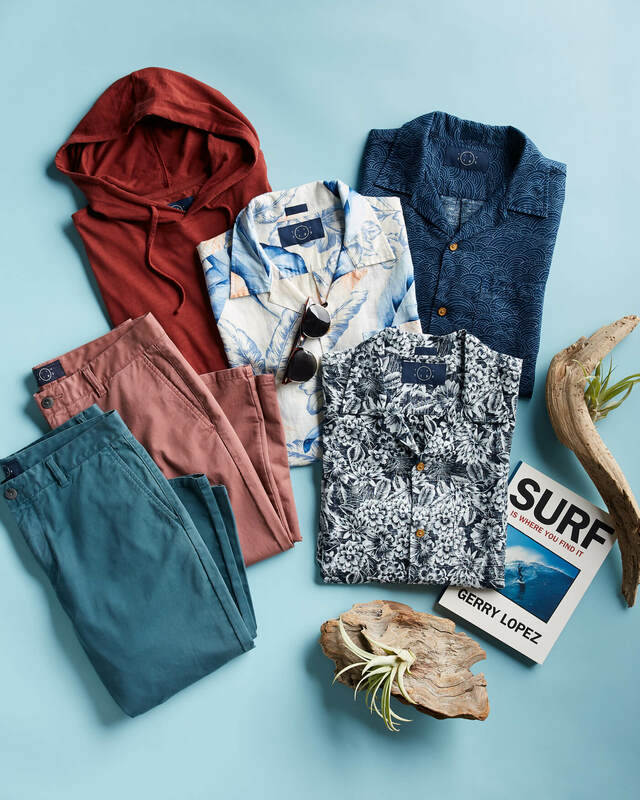 Even Tide brings the vacation to your closet with a mix of coastal colors and mid-century modern inspired lines. Think easy fits, soft fabrics and hues inspired by the sea. Who’s the Even Tide Guy? The Even Tide guy is laidback, probably makes pour-over coffee for himself every morning and has longboarded at least once in his life. Bixby Nomad was inspired by the surf and skate styling from Southern California. 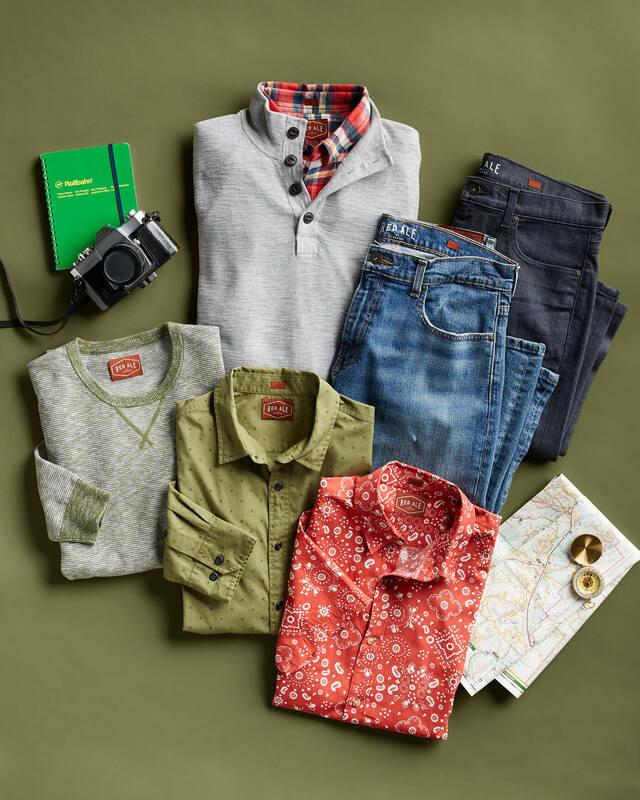 It’s casual, colorful and made for people on the move. It tends to pull from trend-driven styles and pays attention to details in irreverent ways. Who’s the Bixby Nomad Guy? The Bixby Nomad guy always uses a standing desk, definitely has dabbled in surfing and probably wore a shark tooth necklace back in the day. Maybe last year? 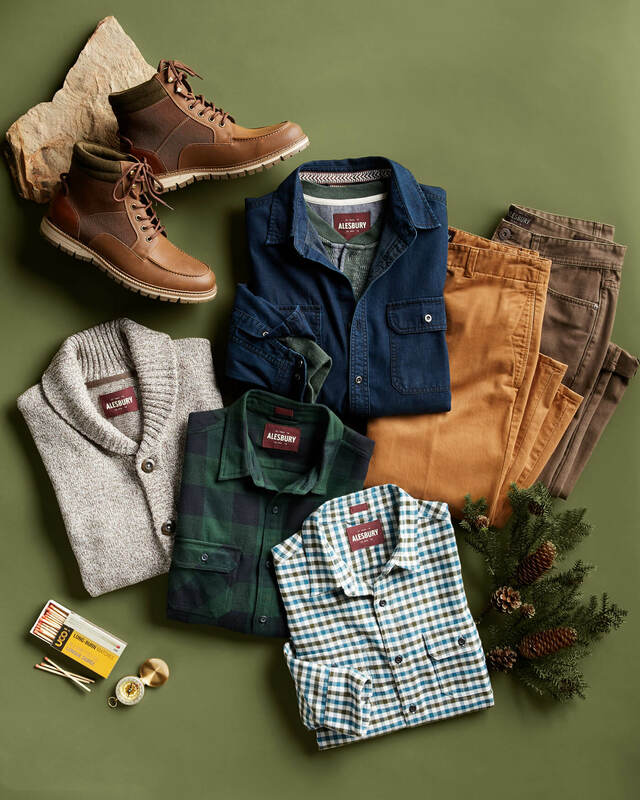 For our rugged, outdoorsy type of guy. Alesbury is inspired by utility workwear and western history (paging Clint Eastwood!). This brand takes high-functionality seriously with structure fits, durable fabrics and hand-made detailing, it’s made to last. No cowboy boots required. The outdoor adventurer. He’s always exploring new terrain, and definitely has a collection of well-loved camping gear and hiking shoes. Eclectic and vintage-inspired, Red Ale pulls inspiration from global styles for a highly personalized look. Most of the fits are relaxed, complemented by muted, neutral colors and subtle conversational prints. Who’s the Red Ale Guy? He just got back from an international trip where he spent some time getting to know the locals, not in fancy restaurants. Make sure to ask your Stylist for your favorite brand in your next Fix!